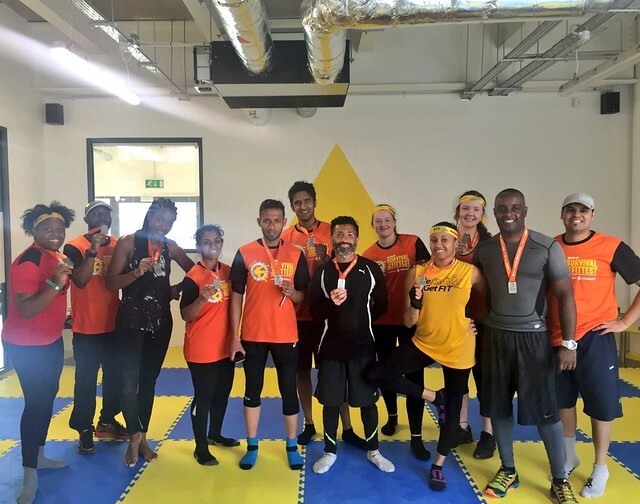 September’s Club of the Month is Be Smart Get Fit – congratulations! Be Smart Get Fit deliver a range of fun fitness activities including Circuits, Boxercise, Kickboxercise, and organised 5k runs. With the exception of the short circuit Saturday class the sessions are suitable for people of all abilities because the trainer modifies activities to suit individuals. As well as the training we go out on socials like meals and cinema. What competitions do you compete in? We compete in fun runs like the Colour Run, charity runs like Run Wembley and also compete in the North London Half Marathon and City of London Mile. We had 14 members complete the Men's Health and Survival of the Fittest obstacle course 10k at Wembley Stadium this year. It was great to see everyone use their training to get around the course. Everyone starte d and finished and helped each other along the way. A brilliant sense of camaraderie and they had fun as well. It was an excellent achievement and a real confidence boost. I would like for the team to participate in a number of running events to raise money for a good cause. Training and fitness has had such a positive impact on their lives it would be great for them to use their fitness class to help others.